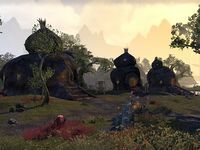 Silent Mire is an Argonian town in eastern Deshaan, just southeast of the Tal'Deic Fortress. The town is under attack by Renrijra pirates, who have captured several of the town's inhabitants. The pirates are led by Captain Sa'dir, who can be found on his ship in the harbor. Silent Mire Objective: Help the Argonian village of Silent Mire. 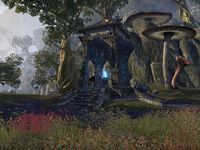 Silent Mire Wayshrine is located just southwest of the village. This page was last modified on 27 March 2019, at 23:35.